We descend on Alchemy Mastering, one of London’s premiere mastering facilities, with two talented and soulful young artists: 2019 BRIT Award-winner, Tom Walker, whose debut album drops on March 1st; and VC Pines (aka Jack Mercer), whose first two singles have been playlisted on BBC 6 Music, the latter of which received its Radio 1 debut last week. What these two have in common – aside from great tone – is that both their most recent projects have been mastered by Chief Alchemist, Barry Grint. We sit the guys down to compare musical stories, production techniques, and touring tales, as we dig a little deeper into the dark art of mastering. 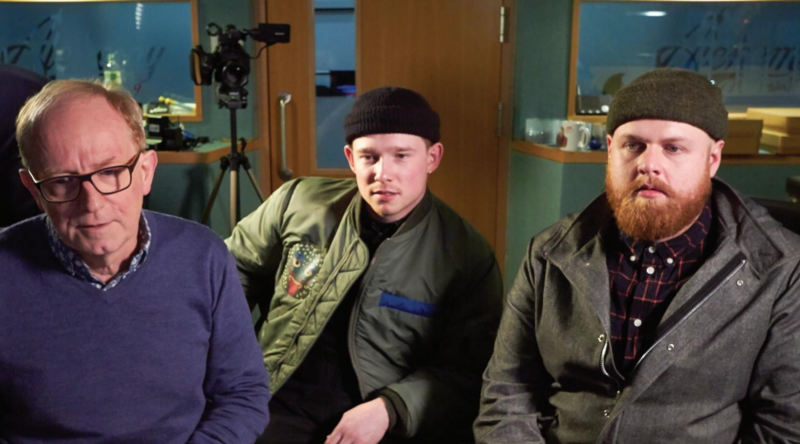 “I thought it was just like putting a song through a lot of expensive analogue gear in order to make it sound good,” says Tom Walker, whose mega-single, Leave a Light On, was mastered at Alchemy, and has been streamed more than 200 million times on Spotify alone. He also picked up the BRIT for British Breakthrough last week. “Sprinkling the magic dust on top,” smiles Jack Mercer, whose first two [VC Pines] singles, Garden of The Year and Vixen were mastered at Alchemy. Both received critical acclaim from both BBC 6 Music and Radio 1. 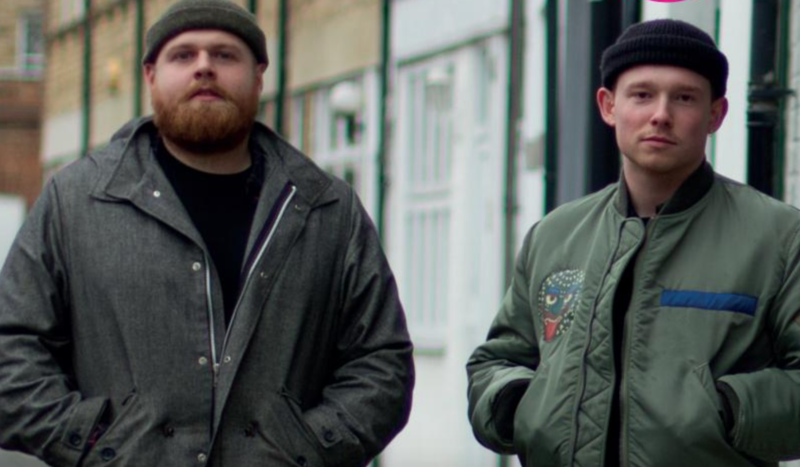 Grint has been working with Mercer on his VC Pines evolution for 18 months, and did the whole Tom Walker debut record, What a Time To Be Alive. He asks Mercer what kind of feeling he gets when he receives the mastered tracks back from Alchemy. Grint turns to Walker and points out that his album has had four different mastering engineers work on it at various stages. “[laughs] I’m very picky,” smiles Walker. But did Grint get it all to gel? “Yeah, absolutely. It took us a few goes, didn’t it - over email. At the time we started, I was in America, then I was in Australia, and then by the end of it I was in Mexico, so I was trying to do it on various pairs of headphones - some of them amazing, some of them terrible – and various different rental car stereos, and a few studios I was in at the time. For me, mastering is the last 10% that is impossible to get. I could sit there and try to make an audio file that’s already done, sound better, but I just wouldn’t get anywhere; it would just get steadily and steadily worse! "I’m adding a bit of width in certain areas with the Waves L3 multi-band limiter, which I use on every single master. It’s excellent. It also allows me to shape how the limiter is working, so the harder it’s working, the more emphasis you’ll get on certain areas." To Grint, mastering is a different way of listening. He finds quite a lot of the work is actually creating that cinematic sound, and getting the music to spread across from the centre to the sides, so it sounds bigger. “Which is very different to all the other listeners, who are going to listen to their music, and they hear it their way; you’ve got to set the ears back to neutral for every project, regardless of the genre,” says Mercer. “So the room itself is your formula, then?” asks Mercer. Mercer points out that there is a similar situation bubbling with sub frequencies. Walker says those three years have absolutely flown by, but it’s also been the hardest graft he’s ever worked in his life. Mercer started touring as frontman for indie-rock oufit, The Carnabys, around 2012. The band did a lot of work with Hard Rock Café, whose label, Hard Rock Records, put them on tour around the globe, where they shared stages with Bruce Springsteen, Kings of Leon, and Blondie, to name a few. “We had some amazing opportunities, and it was a great experience, but the band disbanded in early 2017, which really gave me a chance to stop for a minute, and focus on the music that I really wanted to do, rather than focusing on what’s going to sell the most records,” Mercer explains. “Just focusing on my sound, what’s in there [thumps his chest]. “It’s really given me a chance to think, and then I started getting in the studio with my producer, Hound, who’s been amazing. We focus on the production, and the sounds we want to get, and put in, and stuff like that; and having a seven-piece band as well has really broadened my horizons as an artist. We’ve really started to work on the live shows, and making things blend in that kind of way. Grint pulls up the Tom Walker album which he’s recently mastered. The mixes were really good, he says, so it’s not like he had to ‘throw a lot at it’. Before Grint plays Not Giving In, he explains that the track was turned down, so the loudest part was correct, but it was making the start of the track seem a bit too dull. He demonstrates to us how he was able to get ‘that big lift’ when the track kicked in. Grint points out that there’s now a 4dB drop at the beginning of the song, so you get that punch when the track comes in. “That’s what I mean about a more cinematic sound,” Grint explains, and brings the Waves L3 plugin into shot. “I’m adding a bit of width in certain areas. This is a Waves L3 multi-band limiter, which I use on every single master. It’s excellent. And it also allows me to shape how the limiter is working, so the harder it’s working, the more emphasis you’ll get on certain areas. "Mastering really smooths it all out, especially for an album. For me, the gap between songs was super important; I didn’t want anything lingering around too long, I wanted it to be a comfortable journey where there’s room to breathe. " “Talking to other engineers, it seems a lot of us analogue guys have gravitated towards using digital, because we’ve done analogue, and with the changes you’re trying to make, you don’t really want to keep going into analogue, then back into digital, and then having other problems caused by the fact you’ve gone into analogue at all,” Grint explains. Grint agrees, and pulls up Vixen, the second VC Pines single which came out in January on Fierce Panda. VC Pines’ Indigo EP dropped on March 22, and was also mastered by Grint. “Tell us your secrets, Barry!” laughs Walker, as the track begins to play. “What, both of them?” Grint smiles. Grint plays what was a first mix, later to be tweaked and resent. Then he plays the second mix he received, which he mastered. “Wow, that’s nuts,” says Mercer. “That’s a huge difference,” concurs Walker. “That is so wide,” Walker says. “I love that harmony, it’s sick,” adds Walker. “Cheers, man. I think it makes it feel raw and real, and that’s what music should be,” says Mercer. Grint pulls the master fader back down, and asks what the guys thought of the before and after treatment. “Yep. He’s Gandalf, himself!” concludes Walker.